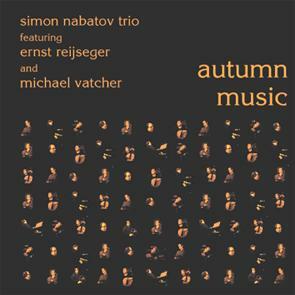 A new Simon Nabatov trio with Ernst Reijseger on cello and Michael Vatcher on drums. As Simon writes, having played with the finest musicians from Amsterdam, it was an obvious step for him to form this trio. Ernst Reijseger is an incredible cellist with the impeccable taste in collective improvising, a fierce sense of humour and a great gift of melodic thinking. Micherl Vatcher amazes through a fantastic variety of sonorities and textures, dramaturgical turns and twists and an unwavering commitment to the true spirit of "real time" music making. Most of the pieces are by Simon Nabatov, and the last piece, a kind of nostalgic farewell, is by A.C. Jobim.